Black Ops 4 Blackout Changes Coming Following the Beta | Nerd Much? The Call of Duty: Black Ops 4 Blackout beta came and went over the weekend. With the event concluded, Treyarch has collected the appropriate data and is targeting specific areas of the battle royale mode that require improvement. 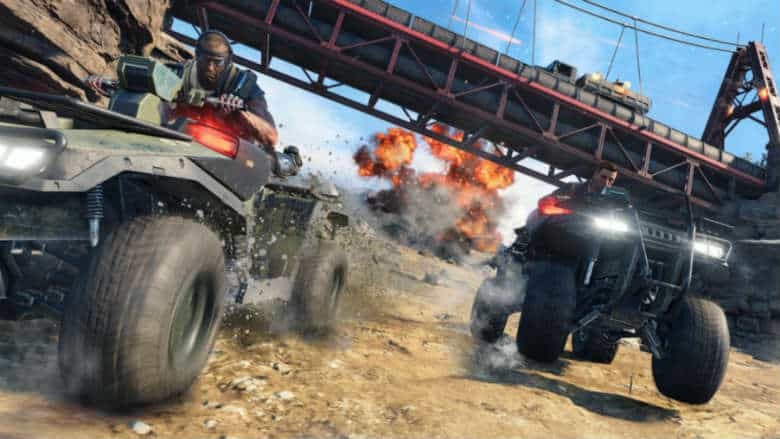 Today, the studio detailed what Black Ops 4 Blackout changes are coming when the game launches next month. Treyarch mentions that Armor is one of the most important items to find within Blackout. Thus, they’ve “been cautious about making sweeping changes to the way Armor works”. They did adjust its stats during the beta, and they’ll continue to do so before launch. Specifically, they plan to reduce the spawn frequency of Level 3 Armor by 75%. It’ll also now be most frequently found within Stashes and Supply Drops. Level 3 Armor will now break sooner, and will allow more damage to pass through it. Treyarch will also be introducing an indicator on your in-game HUD that displays the damage of the Armor you’re wearing. There will also be audio adjustment implemented within Treyarch’s Black Ops 4 Blackout changes too. Players were reporting volume issues as well as an inability to properly locate where sounds were coming from. The developers confirmed that the game has not had its final audio mix yet and that fixes for all of these issues are forthcoming. Players were having issues last week with the game’s item pickup system. Treyarch states today that “Console players have asked for an option in Settings to allow them to tap a button to instantly pick up an Item. We like this idea a lot, and want to be sure we get it right and test it thoroughly.” Treyarch says they’ll also be tweaking Quick Equip menu to prevent conflicts with picking up items, opening doors, or entering vehicles. The team recognizes a few issues specific to the Xbox One and will be implementing fixes. They’ve also come up with a quality of life roadmap that they plan to follow to bring the mode as close to perfection as they can get. Hopefully the developers are able to crunch down and make all the necessary Black Ops 4 Blackout changes before the mode and new game launches on October 12th. But by most accounts, the team may have something special on their hands here.